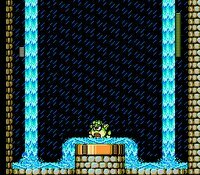 Mega Man Showdown IV is the boss-only version of Mega Man IV that makes all stages except for Cossack 1, and Cossack 2 only 2 screens. 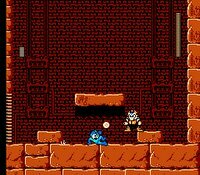 Wily 3 are where you refight old bosses. All boss stats have been edited (EX version only), all weapon energy consumption amounts have been edited, except music. The EX version of Mega Man Showdown IV brings more life to the game. All Bosses are customized to be stronger and harder to defeat meaning that theyâ€™re hyperactive and the hard mode version patches simply wonâ€™t give you any reflex time after getting hit. Really cool and challenging. Starting with 1/2 energy is an awesome idea. 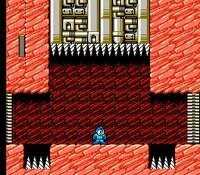 I always wanted a hack that let me play just the bosses without the whole stage. 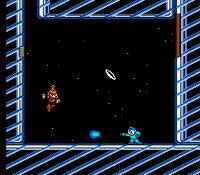 I have only one complaint: The Ring Man stage has a glitch; when Megaman first appears,he'll fall through the screen below and die instantly. It's unplayable in this stage.